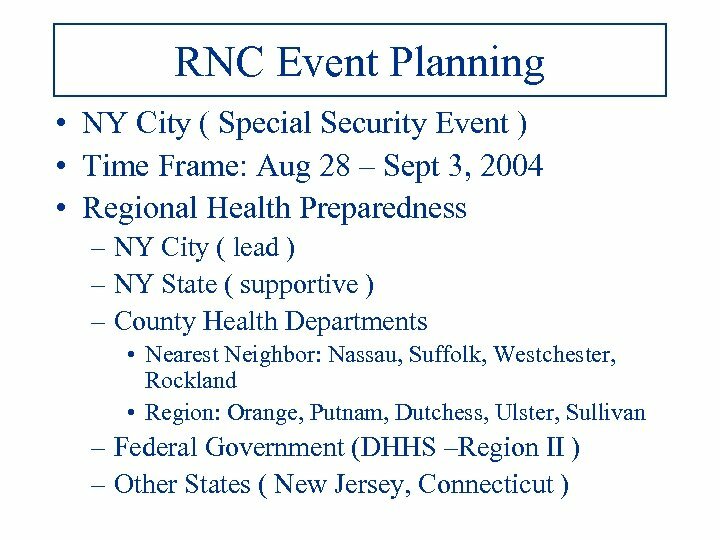 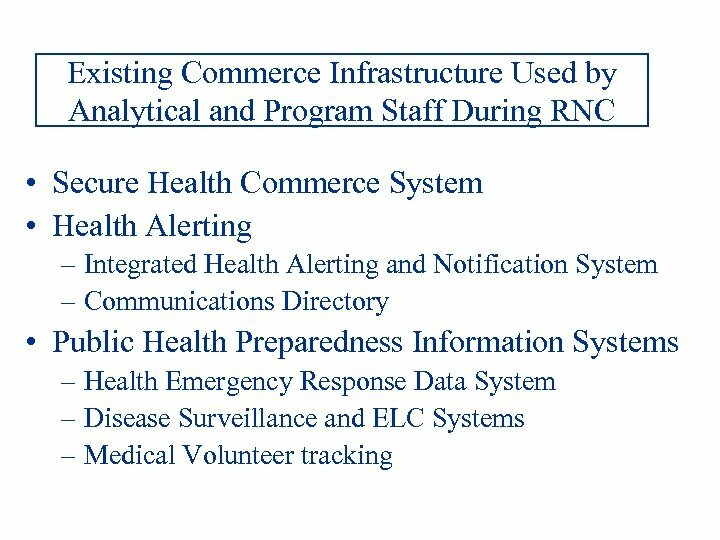 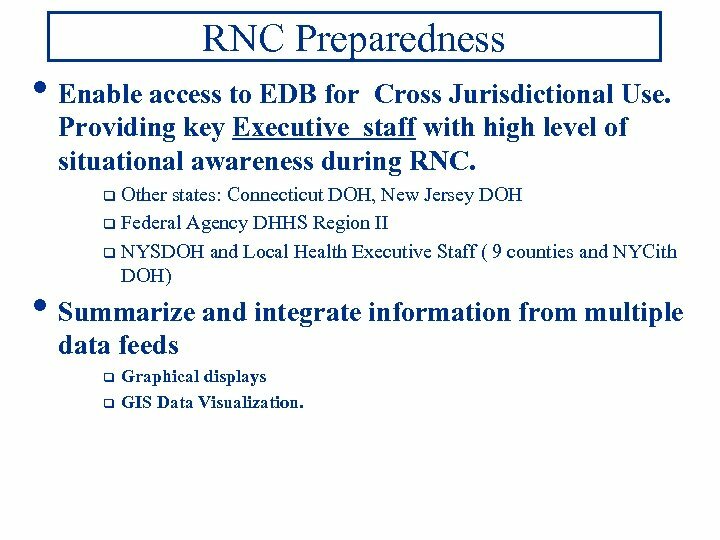 RNC Preparedness • Enable access to EDB for Cross Jurisdictional Use. 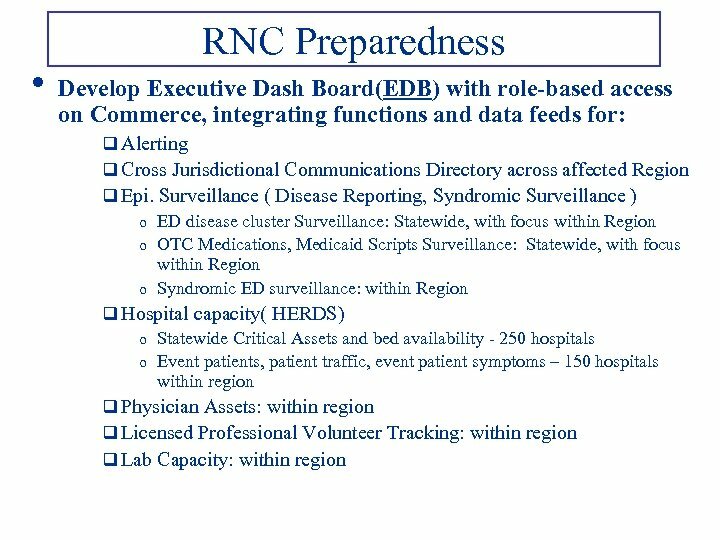 Providing key Executive staff with high level of situational awareness during RNC. 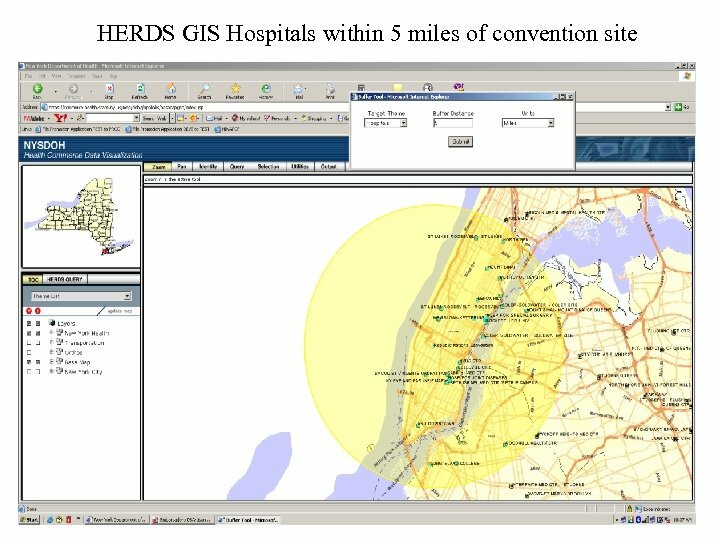 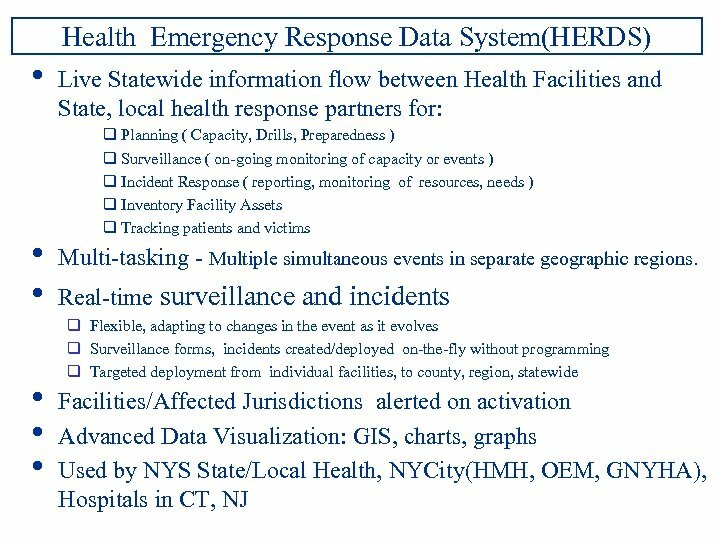 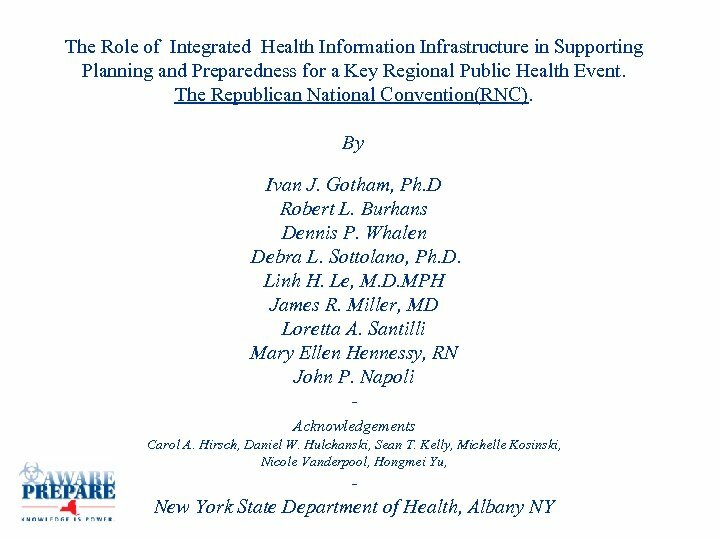 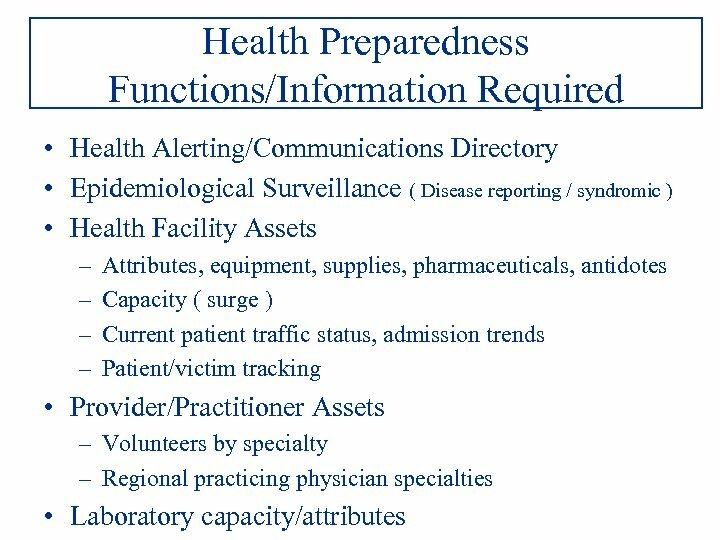 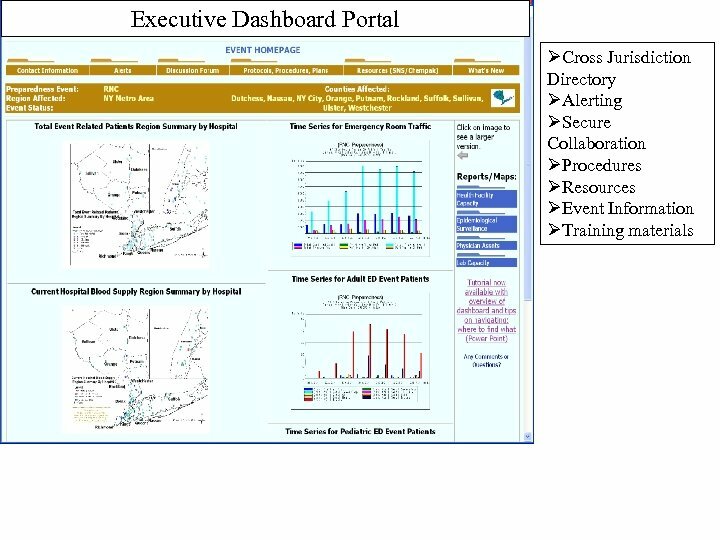 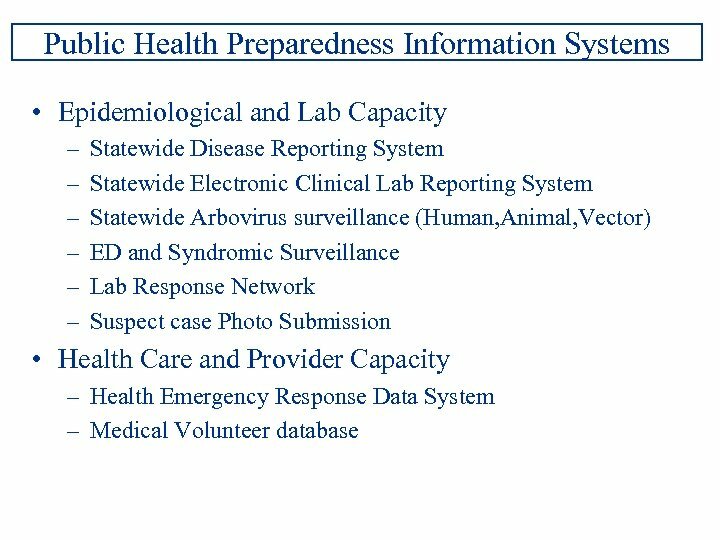 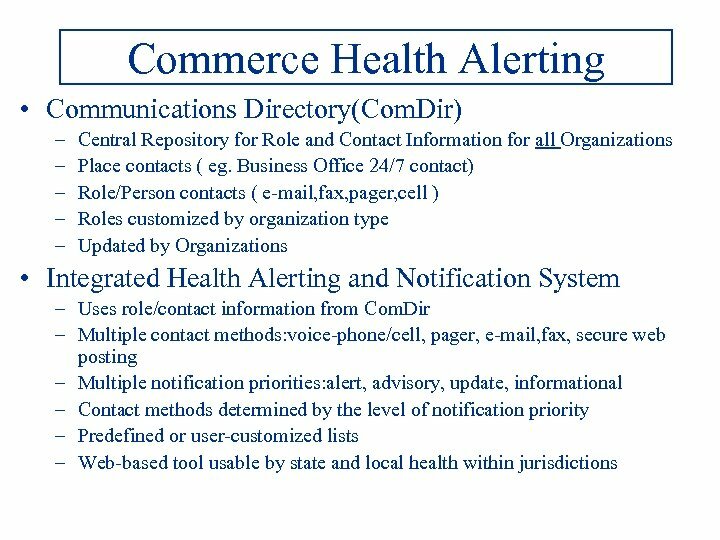 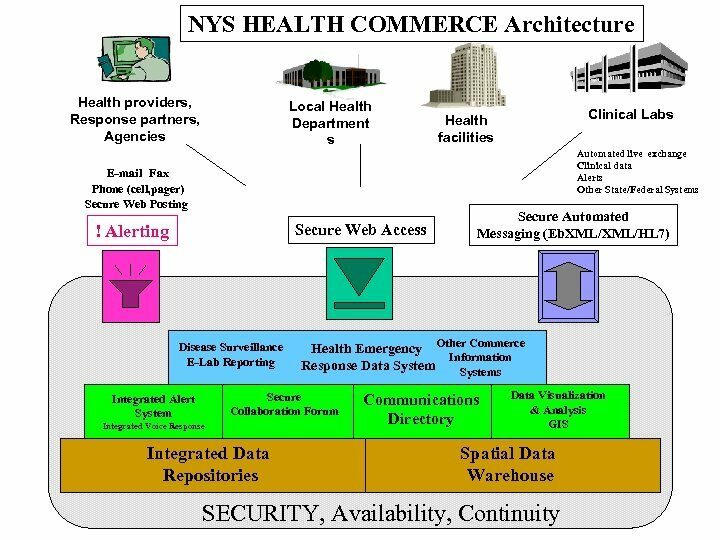 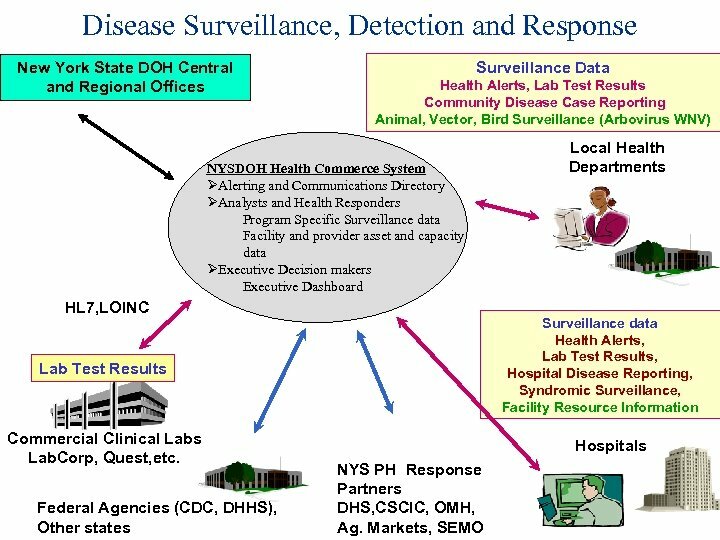 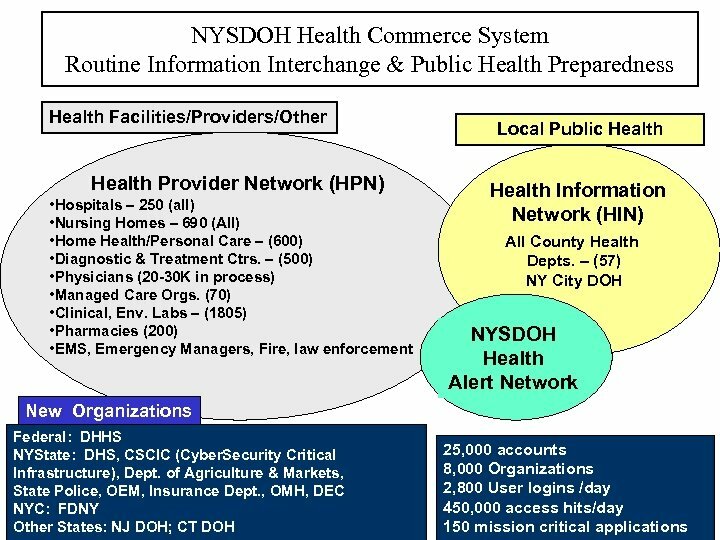 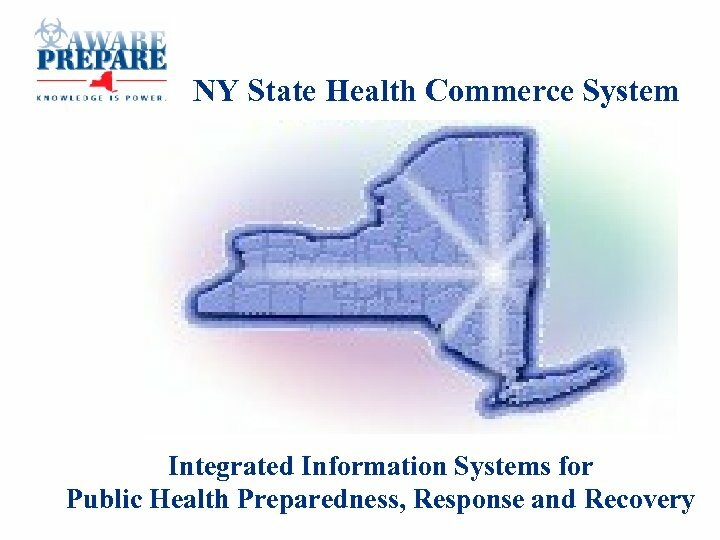 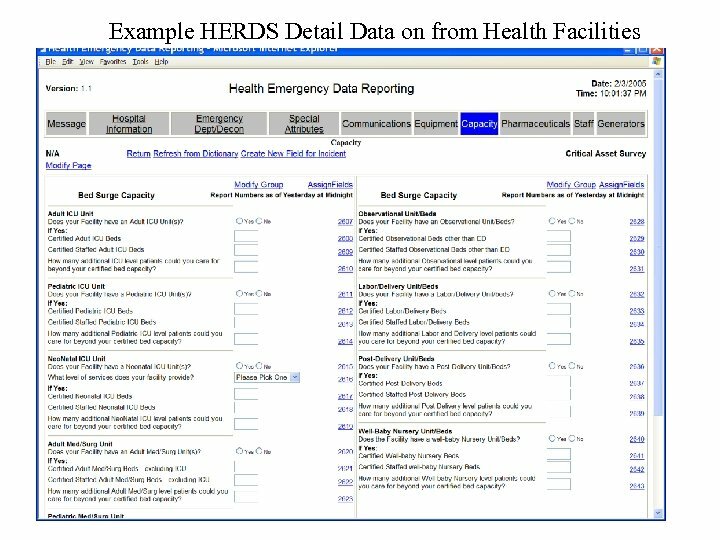 Other states: Connecticut DOH, New Jersey DOH q Federal Agency DHHS Region II q NYSDOH and Local Health Executive Staff ( 9 counties and NYCith DOH) q • Summarize and integrate information from multiple data feeds q q Graphical displays GIS Data Visualization.